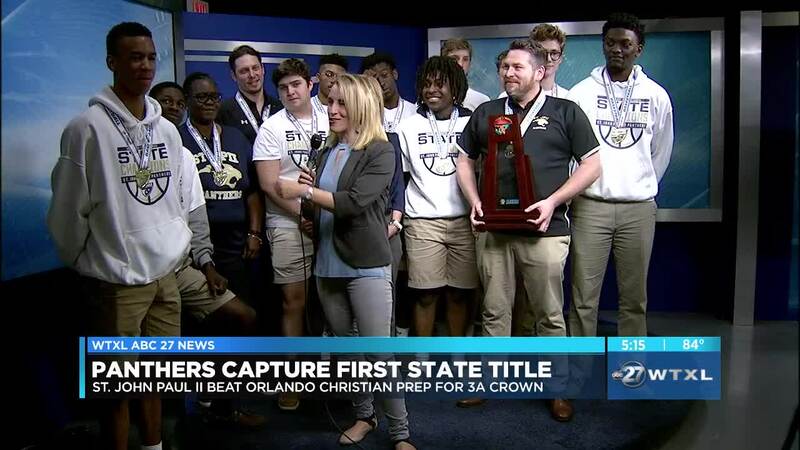 MIDWAY, Fla. (WTXL) — St. John Paul II, class 3A State Champions, beat Orlando Christian Prep in overtime, their first state championship in school history. The 2006-2007 season was the last time anything had been won for boys hoops. They won a district title that year, and hadn't even been to the playoffs since. They won a district title this year, made history, and went to first final four, made history, and won that state title, again making history. The champs joined us in the studio Thursday to talk about their first championship win.